EMILY's List, the national political action committee devoted to electing pro-choice women to public office, has endorsed Sue Minter for governor of Vermont. The deep-pocketed PAC formalized its endorsement Monday, though it has been anticipated for months. Several weeks ago, Minter replaced her campaign manager with one referred to her by the organization. Speaking last Wednesday on Vermont Public Radio, EMILY's List president Stephanie Schriock said, "We are working very closely with Sue Minter, been very impressed with her candidacy for governor, and I think you can expect some news soon." That news came Monday in an announcement from the Minter campaign, first reported by VTDigger.org. "Sue Minter has the leadership experience and progressive values to move Vermont forward," Schriock said in a written statement. 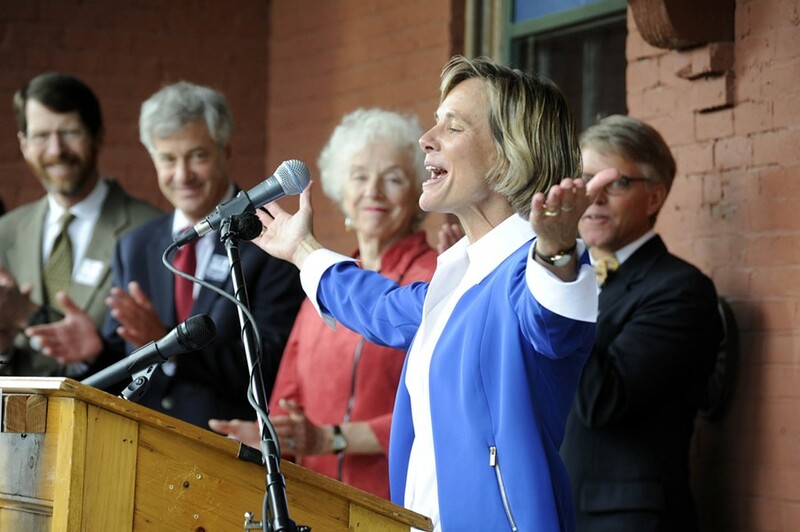 “This year Vermont has an opportunity to elect a tireless champion for women and families to the state's highest office — and the EMILY's List community of over three million members is excited to endorse Sue Minter's strong campaign." EMILY's List has served as a key source of funding and political support for campaigns around the country. During the 2014 election cycle, it spent more than $44 million, according to the Center for Responsive Politics. This cycle, it has already spent $21 million. But the organization doesn't always pick winners. In its last foray into Vermont, the 2010 gubernatorial race, it endorsed then-secretary of state Deb Markowitz, who came in third place. In this year's election, Minter faces former Democratic state senator Matt Dunne, Republican Lt. Gov. Phil Scott and Republican businessman Bruce Lisman. Other potential candidates, including former Democratic state senator Peter Galbraith, former state representative John Moran and House Speaker Shap Smith (D-Morristown), have also suggested they may enter the race. In Monday's announcement, Minter hailed the news. "I am proud to earn the endorsement of EMILY's List in my campaign for governor of Vermont," she said. "There is so much at stake in this election. Too many Vermonters are struggling. As governor I will work tirelessly to create more livable-wage jobs, make higher education more affordable and create a clean energy economy. Together we will make Vermont work." Info Wars: Does the Legislature Demand Too Many Studies?